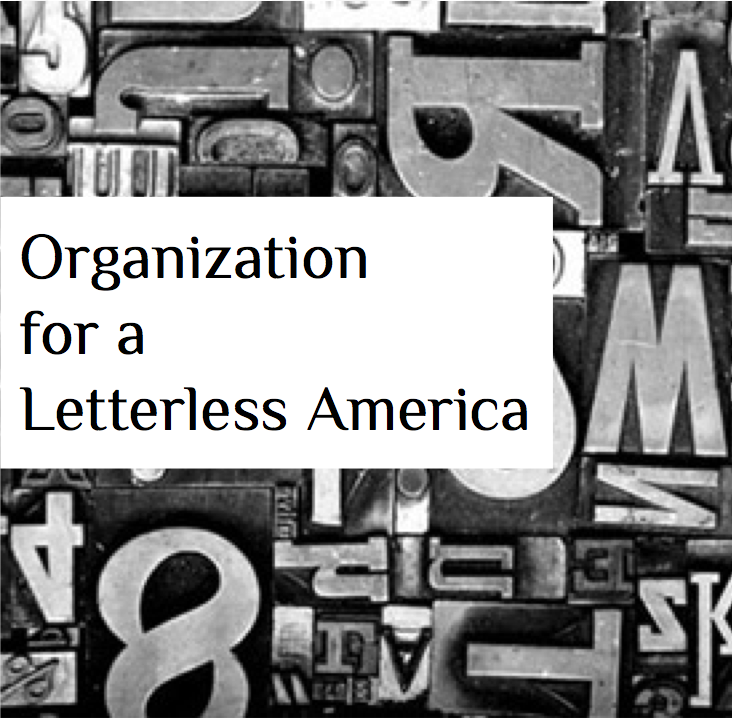 Whether you yourself write, or you know someone with a writing problem (such as a friend, loved one, or family member), the Organization for a Letterless America (also known as OLA) is here to help. We provide a variety of free services, such as classes and support groups, to help you not write. We know that this can be extremely challenging, particularly if you're under a lot of peer pressure to write, but we want you to know that we are a completely non-judgmental organization. We also run a 24-hour crisis line, in case you're alone and are afraid you'll be unable to stop yourself from writing. Our introductory offering, "How to Not Write," is typically delivered as a live presentation. We were pleased that highlights from this vital resource were excerpted in the first publication from Living Room Light Exchange: The Living Room Light Exchange is always located in a place. Interested parties may purchase a copy here.